A new book by Professor David Levinson, RP Braun/CTS Chair in the U of M’s Department of Civil, Environmental, and Geo- Engineering, is now available on Amazon. 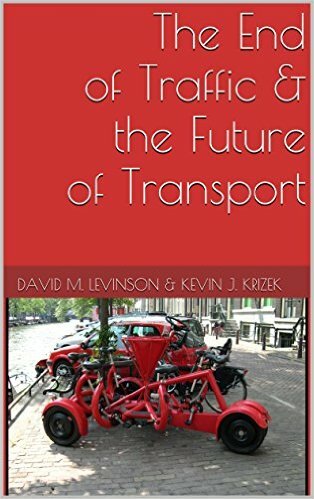 In the The End of Traffic and the Future of Transport, Levinson and co-author Kevin J. Krizek at the University of Colorado Boulder propose that traffic—as most people have come to know it—is ending and explain why. The book depicts a transport context in which new opportunities are created by the collision of slow-, medium-, and fast-moving technologies. It also sets forth a framework for thinking more broadly about concepts of transport and accessibility. In addition, the book highlights large-scale trends that are revolutionizing the transport landscape, such as electrification, automation, the sharing economy, and big data. Based on all of this, the final chapters offer strategies to shape the future of infrastructure needs and priorities.